I have for sale this rare poster by well know Italian master, Gino Boccasile. 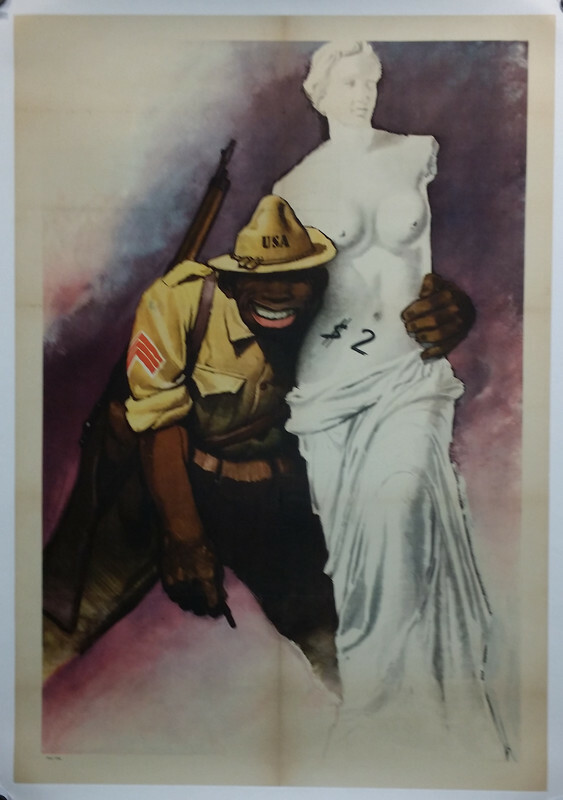 Vignette showing a black American Sergeant offering the Venus de Milo for two dollars (1944). I cannot seem to locate said article in my favorites list. This poster is in fantastic condition and has already been linen backed. An typo in the original listing - this poster is from 1942.